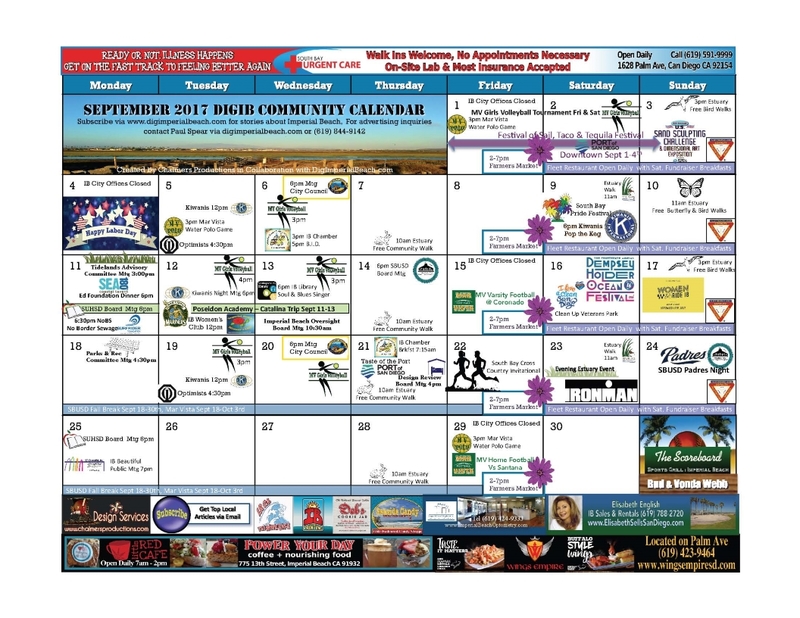 Now you can Get a Free Monthly Imperial Beach Community Calendar of Events every month when you sign-up for our Free IB Community Newsletter. A calendar for the new month will be delivered to you free every month. This is September's Calendar in the article so you can get an idea of exactly how detailed our calendar is!!! Note: You can download the image below, however, if you want a high quality image, download the PDF File at the link above.